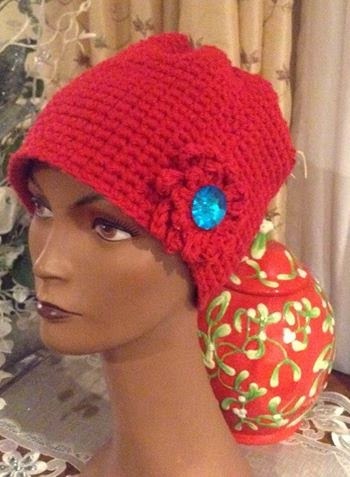 In a previous post I wrote that I followed Hectanooga1's video on YouTube to crochet this hat. 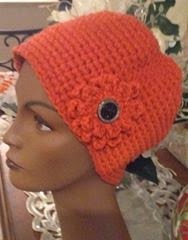 After I crochet the first hat ( orange), the hat grew by two inches. I revised Hectanooga's instructions and I am loving the results. You are definitely on a roll. They are so addictive. I did not know you crochet too. Your hats are beautiful! 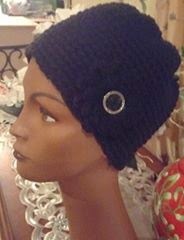 Thank You Sheila, I was inspired to start crocheting again after I saw the lovely hats you made for your grandniece and grandnephew.